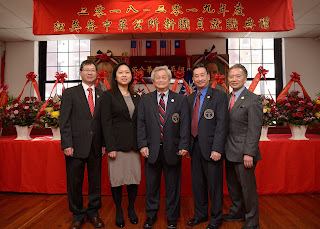 On January 6 2018, as the temperature in Boston plummeted lower to single digits with negative windchill, and the Seaport suffered flooding, the water then freezing to a river of ice where cars were simply abandoned, Chinatown not only remained open, the Chinese Consolidated Benevolent Association of New England, or CCBA, had its inauguration of second tern President, Paul Chan. At a time in history where some fear that Chinatown could disappear, it is heartening that the CCBA is going strong and can provide land, housing, community… Chinatown is more than the CCBA, but if the rest of the community were to fall and the CCBA remain standing, there would still be that remnants of a community. And if the CCBA is able to thrive, it has the potential to lift Chinatown up with it. Change is not “coming”to the community. It is already here. And one of the forces that can help the community to adapt and potentially thrive is the CCBA. Be disseminated to board members simultaneously. At a time in history where some fear that Chinatown could disappear because of rising rents, non Chinese hotels built by, and Air BNB apartments that are actually run by big corporations, it is heartening that the CCBA is going strong and can provide land, housing, community… Chinatown is more than the CCBA, but if the rest of the community were to fall and the CCBA remain standing, there would still be that remnants of a community. And if the CCBA is able to thrive, it has the potential to lift Chinatown up with it. We have provided a full accounting of the rental income from the 50 Herald Street property and repaid $1.2 million of the $2.2 million taken out of the SCM Affordable Housing Fund for its own operational use. The plan is to repay $250,000 every year until it is repaid in full in 2021. CCBA has instituted formal fiscal policies and procedures to supplement its by-laws. In response to the independent auditor’s request, CCBA has also instituted a record retention policy. After over 20 years, CCBA also has engaged a new independent auditor to provide a fresh look at its fiscal operations. We have been in full compliance with state and federal regulations allowing board members reasonable access to CCBA’s financial records. CCBA will also provide financial statements and annual reports to board members for review prior to filing. In compliance with the AG’s letter, we have established a 50 Herald Street Development Advisory Committee to advise CCBA on the development of affordable housing on the property. 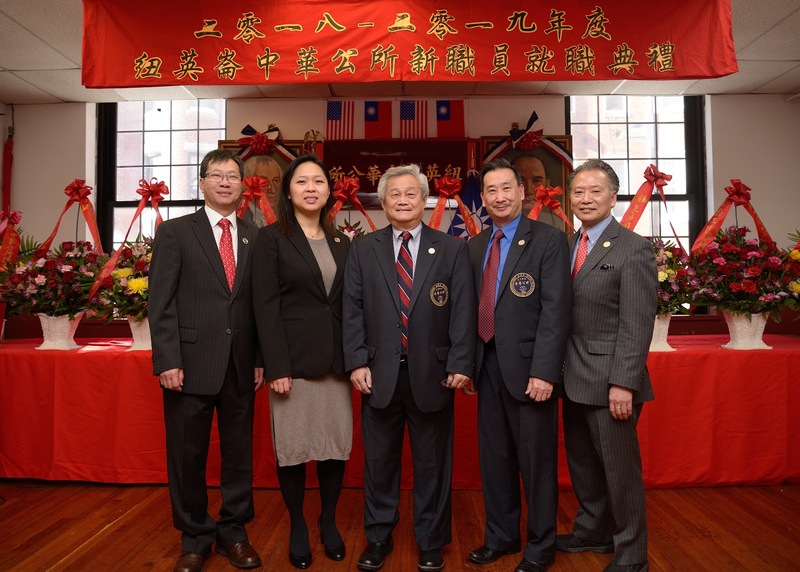 The Advisory Committee consists of members of the CCBA Asset Committee and 4 members of the community, namely, a representative of the Asian Community Development Corporation, a representative of the Chinese Economic Development Council, an original member of the Chinatown Land Task Force, and member representing the community at large. CCBA has entered a letter of intent with The Davis Companies (owner of 112 Shawmut Avenue) and the Boston Chinese Evangelical Church (owner of 120 Shawmut Avenue) to collaborate in a Planned Development Area application to the City of Boston to obtain enhanced zoning for the three adjoining properties. Under the agreement, The Davis Companies will pay for all expenses pertaining to the PDA application, necessary consulting costs incurred by CCBA and the church and a certain success fee to each when the PDA is approved. Each of the three properties will be developed by its owner and there is no commitment or understanding to give each other preference to become a joint venture partner on any site. The PDA application has been submitted and is under consideration by the Boston Planning and Development Agency. We currently envision the site accommodating a 14 story building consisting of 300 residential units and 14,000 square feet of retail space. Thirty percent of the residential units will be affordable housing. Additionally The Davis Companies will make IDP payments to CCBA to add another 29 units of affordable housing in the CCBA building. We have assured the city and the community that we would do more affordable housing if it is feasible to do so. CCBA invited twelve developers to participate in a Request for Qualification process to jointly develop the South Parking lot of Tai Tung Village. Six of the twelve responded and CCBA issued Requests for Proposal to Winn, Beacon and Asian Community Development Corporation. We envision a development of approximately 90 residential units, at least half affordable to families with 60% of median income or less, the other half affordable to working families. CCBA allows the proponents a wide range of development and affordability configurations. The 90 Tyler Street property, the building we are in now, had always been exempt from city’s real estate tax from the date CCBA bought it from the city in 1983. It became taxable in 2010 when a former president of CCBA violated the regulations regarding real estate tax exemption. The real estate tax on the building was $47,000 in FY 2016. We continue to eliminate the non-compliance and currently, for FY 2018, the real estate tax is only $6,000. In June 2017, the National Park Service designated 90 Tyler Street, the original Josiah Quincy School, as a history building and included it in the National Register of Historic Places. This allows CCBA to apply for rehabilitation grants and financial assistance from state and federal government. CCBA apply and got a $30,000 matching grant from the state to conduct a feasibility study to create a tourist information center in the building. We applied for a state grant to restore the Confucius statue outside this building but the application was not successful. We did apply again his year and hopefully we will get lucky. As you can see because of the unsafe condition of the handicap ramp and the base of the statue, we have already engaged a contractor to begin the restoration work. We expect the PDA application to be approved by April this year and then we will begin an open and transparent process to select a joint-venture partner to develop the property. The caveat is the economy. Unfortunately we missed the market in 2009 when the market was at its lowest and was about to take off. In any event, it is always an advantage to have a project ready so that you won’t miss the next opportunity. We expect the selection of the joint venture partner for the Tai Tung parking lot to be complete by the third quarter of this year. We have some commitment from the Department of Neighborhood Development to assist us in obtaining funding from Inclusionary Zoning projects. We need to step up to the plate to hire consultants to study the feasibility of creating a tourist information center in the building and to apply for funding to pursue the rehabilitation. The English and Chinese versions of the bylaws are not consistent with each other. Even though it is clear that in the case of conflict, the English bylaws will control, it has led to many arguments. The bylaws/Election Committee has made an attempt to reconcile some of the conflicting provisions. However, the amendments were not approved by the Board. The bylaws/Election Committee and the Board need to continue to work to produce a set of bylaws that will make the organization work efficiently. The take-away from the speech is that some mistakes were made in the past by former administrations but under Paul Chan’s continued leadership CCBA will be laser focused on providing affordable housing for Chinatown, through the properties that the CCBA owns. Some would question why only 30%, but in truth, in order for Chinatown to survive, or perhaps even thrive, it’s community organizations must make money on their own, outside of donations and grants from the government. Of course there are always many sides to a story and there may be more than meets the regarding the mistakes of the former administrations. But that is a story for another time. Moving forward, the important thing is that Uncle Paul has a good group of people working with him and he is right on top of compliance with the Attorney General which is important for any community organization, company, or non-profit. One of my personal criticisms, or perhaps “suggestions” regarding the CCBA’s culture and Paul Chan is that while the inauguration speech laid out very clearly the bare bones of what makes the CCBA work and what keeps it alive from an administrative point of view, I feel that this is not the only function of the CCBA. The CCBA provides cultural and community programming for Chinatown because of the management of properties and the ability to create money and charge lower rents for cultural programs, artists, and performers that might not otherwise survive in Chinatown. 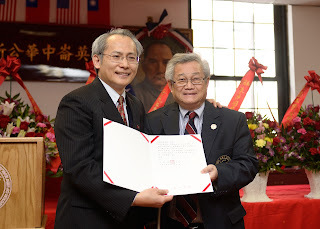 I have always felt that while the nuts and bolts of the organization were essential, that the potential symbolism that the CCBA could provide as a community leader in Chinatown has been undernourished and not been all that it can be. Of course symbolism without the nuts and bolts, won’t amount to anything either. At a time in history where some fear that Chinatown could disappear because of rising rents, non Chinese hotels built by, and Airbnb’s run by big corporations, it is heartening that the CCBA is going strong and can provide land, housing, community… Chinatown is more than the CCBA, but if the rest of the community were to fall and the CCBA remain standing, there would still be that remnants of a community. And if the CCBA is able to thrive, it has the potential to lift Chinatown up with it.